Chodang is just south of nearby Gyeongpo Beach. 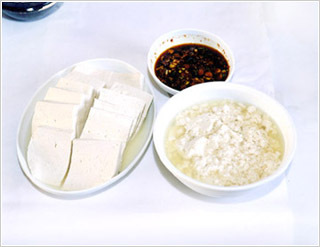 Chodang, a village along Korea’s east coast in city of Gangneung, is famous for its tofu, especially its sundubu, a silken and incredibly light tofu dish. The sundubu in Chodang is made from locally grown soybeans and seawater, and is prepared and eaten within the same day. While in Chodang, Marja and Diana also visited a local elementary school to see what cafeteria lunches look like, Korean-style. Marja and Diana sampled best of the city’s offerings at this tofu house extraordinaire, where they ate tofu prepared in four different ways–firm, silken, biji (leftover pulp), and in stew. Find out more about the area’s attractions here. 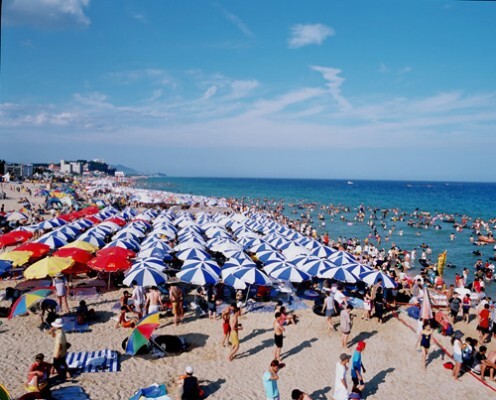 Check out Visit Korea to find out even more.